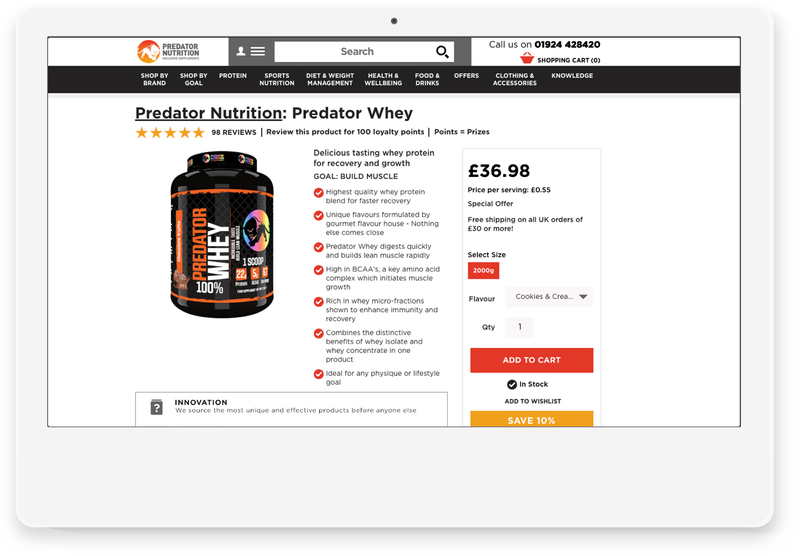 Predator Nutrition were re-platforming on to the Demandware platform and needed to rethink the approach to their website experience. 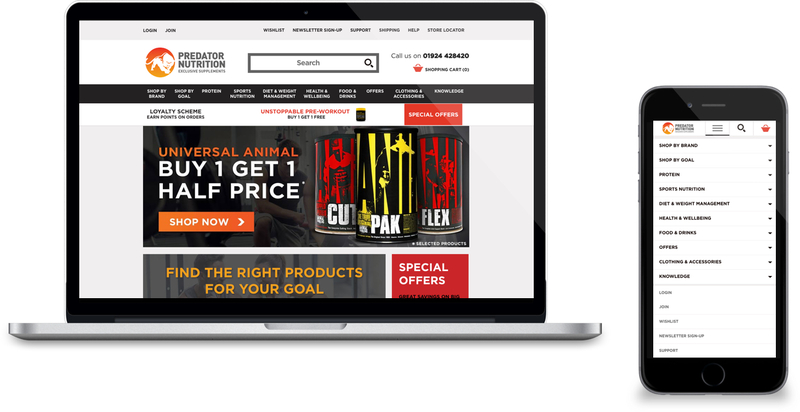 This was a great opportunity for Predator Nutrition to bring a fresh design to their website. We needed to explore a creative direction and then align ourselves with the development sprints to roll it all out. This was a complete end to end e-commerce transformation for the business and therefore the deadlines were very tight and very immovable. We developed a high impact and robust aesthetic for the creative direction, this represented the sector and the audience well. 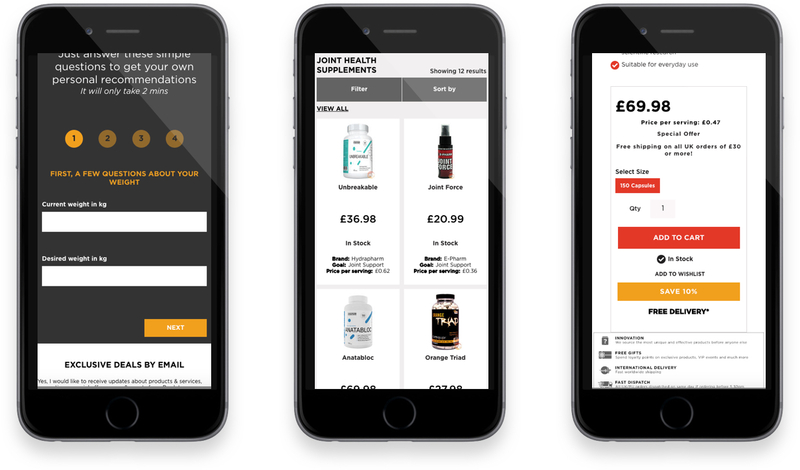 We also created a content strategy that balanced product with engaging and useful content. A very modular grid was used in order to give Predator maximum flexibility to balance the content. The project was organised into 6 sprints and we created an overarching style guide to keep us on track as we moved through the development. Time was very tight but we made it. We created and delivered all the designs across desktop, tablet, mobile portrait and mobile landscape. The project was a success and very well received. Consequently the new design direction, content balance and modular grid helped Predator to enhance their online presence.